A national coalition of civil rights, labor, and civic groups calls for descheduling marijuana; New Jersey isn't quite there yet, France takes a step toward allowing medical marijuana, and more. National Coalition Calls for Marijuana to Be Descheduled. A coalition of civil rights groups, labor unions, and other groups is calling not only for Congress to deschedule marijuana but also for it to ensure that communities most harmed by pot prohibition see benefits. The coalition includes AARP, the AFL-CIO, and the League of Women Voters. "Pass legislation de-scheduling marijuana with racial equity and justice reform components," the Leadership Conference on Civil and Human Rights said in a letter outlining priorities for the coalition in the 116th Congress that begins in January. 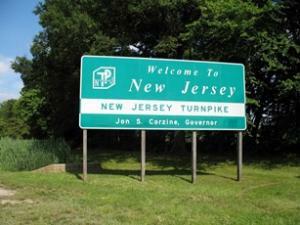 New Jersey Legalization May Not Happen Until Next Year. Senate President Steve Sweeney and Assembly Speaker Craig Coughlin met with Gov. Phil Murphy (D) Thursday for a closed-door meeting to discuss marijuana legalization but made no decision. The lawmakers now say a vote may not take place until next year, even though Murphy wanted it in the first 90 days of his term. New Mexico Appeals Court Rules Against Albuquerque Asset Forfeiture Law. The state Court of Appeals has ruled that Albuquerque's municipal vehicle seizure program is not only pre-empted by the state's law governing seizures, it "completely contradicts it." The city can only seize vehicles after a criminal conviction, the court held. "While the language of the NMFA does not prohibit municipalities from enacting and enforcing criminal forfeiture proceedings, it restricts forfeiture to criminal proceedings, and imposes specific requirements on any criminal forfeiture proceedings that must comport with… the NMFA." France Moves Toward Allowing Medical Marijuana. A government-appointed committee has given initial approval for the use of medical marijuana. The Agency for Drug Safety has concluded that it is "relevant to authorize the use of cannabis for therapeutic purposes for patients in certain clinical situations." If a patient is receiving insufficient relief from current therapeutics, cannabis represents a viable alternative, the committee decided.It said people with chronic pain, cancer patients, epilepsy, and multiple sclerosis sufferers and patients in palliative care could all benefit from cannabis use. Along with our current internship listings, please visit https://stopthedrugwar.org/about, https://stopthedrugwar.org/global and https://stopthedrugwar.org/philippines to learn about our organization and our current projects and campaigns. Please feel free to contact us for further information, and thank you for your interest. While drug policy is primarily a national issue, there are needs and opportunities at the international level, and in US foreign policy, and global drug policy has an impact abroad and at home. 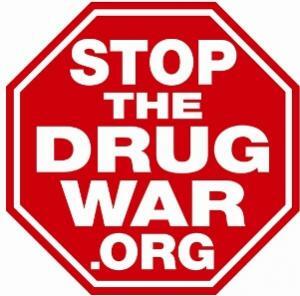 StoptheDrugWar.org plays a leading role in US-based global drug policy reform. We advocated at the United Nations and to the Obama administration during the lead-up to the second-ever "UN General Assembly Special Session on the World Drug Problem" (UNGASS) in April 2016, the first session at that level since 1998. Our work has advanced the dialogue on the UN drug control treaties vs. legalization of marijuana or other drugs, and promoted the idea that human rights takes precedence over drug control objectives when the two are in conflict. We have argued for a range of reforms in the areas of public health, development, and access to medicine, all in turn based on human rights principles. Since 2017 we have also done high-profile work on the extrajudicial drug war killings situation in the Philippines. Our 501(c)(3) educational nonprofit, DRCNet Foundation Inc., has been an accredited NGO in Special Consultative Status with the UN Economic and Social Council (ECOSOC) since July 2016. This enables us to deliver interventions (short speeches) at UN meetings, to organize side events at longer UN sessions, and to help other advocates get admitted to UN meetings. Drug policy is implicated in global criminal justice and human rights issues such as sentencing and the death penalty. It affects public health issues like AIDS and Hepatitis C. Development is affected by drug policy, as are crime and security. The international system has made opioid pain medications largely unavailable in most countries. UN drug scheduling is a discouragement to governments wishing to legalize medical marijuana. Organized a global sign-on statement on the Philippines extrajudicial drug war killings situation, released during the November 2017 ASEAN Summit. The statement calls for a UN-led investigation into the Philippine extrajudicial drug war killings and for international aid donor governments to pressure the Duterte administration on the issue. Press coverage of the statement included articles in major Philippine news outlets, including the Daily Inquirer, Rappler, Interaksyon and the Philippine Star. Submitted a statement for the Economic and Social Council (ECOSOC) 2017 Integration Segment (April 2017). The statement makes the case that adjustments are needed to drug policy in order to make the eradication of poverty a truly integral objective of UN programs, and noted several ways in which prohibitionist drug policies work against achievement of the UN's Sustainable Development Goals. In March 2017 we presented "Human Rights Challenge: Responding to Extrajudicial Killings in the Drug War," a side event at the annual UN Commission on Narcotic Drugs meeting, dealing with Philippines President Rodrigo Duterte's drug war mass murder campaign. Vice President Leni Robredo of the Philippines, a critic of the killings, sent us a video for the event, which we also released online, initially through an exclusive on the TIME web site which was followed up by an interview. Robredo's video drew massive attention in the Philippines and some internationally. Unfortunately, opponents of the vice president used the video to attack her politically, leading to a campaign for her impeachment, a threat which is currently being considered by the Speaker of the Philippine House of Representatives. We regret that political leaders of the Philippines misrepresented our event to attack the vice president, instead of facing the grim reality of widespread human rights abuses. More information on our Philippines-related work, including full video footage and transcripts of our side event, as well as press coverage, is available here. Also at the 2017 CND, we organized an NGO sign-on statement (initial submission on the UN Office on Drugs and Crime web site, updated version with more signatories on our web site). A major signatory on this statement, new to our global drug policy efforts, is the National Organization for Women (NOW). 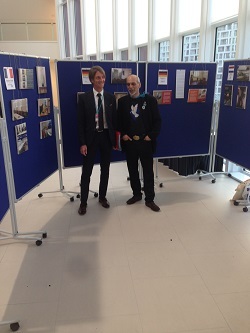 We also served as ECOSOC sponsor for a side event on marijuana regulation and a photo exhibit on safe injection sites organized by European partners. David Borden presented on the panel, discussing the "path toward consensus" on marijuana legalization in the US. Since 2016 we have also provided UN accreditation for these and other partners in advocacy efforts on marijuana's status in the UN drug scheduling system, enabling them to serve as representatives to the UN facilities in Geneva and Vienna; and have served as the charitable sponsor nonprofit for donations to the project. David Borden delivered an invited intervention on the relationship between drug policy and the Sustainable Development Goals, for the January 2017 Intersessional CND meeting (transcript on UNODC web site). The remarks noted tensions between drug prohibition and SDG goals #1 (poverty), #3 (health), #8 (work), #10 (inequality), and #16 (peace, justice and strong institutions. The remarks also noted the decline in global AIDS funding, particularly for programs responding to injection drug use. David Borden delivered an intervention at the June 2016 High Level Meeting on Ending AIDS at the UN in New York, panel discussion on the Sustainable Development Goals. The remarks discussed ways that prohibition and the drug war contribute to the spread of HIV and AIDS, and called for the UN to take on these issues during the upcoming 2019 High Level Review of UN drug policy. David Borden delivered an intervention during the April 2016 UNGASS, Roundtable on Cross-Cutting Issues. The remarks criticized the rationale countries had offered for avoiding any discussion of possible modifications to the treaties, noting that it's the norm for treaties to be updated at times. Borden also called for regulatory approaches to be considered for New Psychoactive Substances, one of several major issue areas in drug policy that the UN has identified, not solely prohibitionist ones. New York Times (4/18/16) – we're not mentioned, but provided information. The article was the first in a major media outlet to note the US opposed taking up treaty reform at the UN, despite US movement toward legalization. Our signature effort for the UNGASS was a major sign-on statement with nearly 350 organizational signatories, released to media and at the UN in May 2015 and again in April 2016. The statement was endorsed by such leading NGOs as ACLU, Human Rights Watch and AIDS United. The statement argues that in cases of irreconcilable conflict, nations' obligations under the human rights treaties, which are enshrined as fundamental in the United Nations Charter, take precedence over provisions of the drug control treaties. 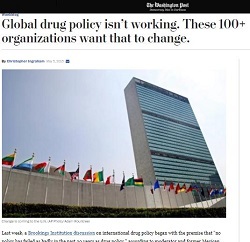 The statement also calls for a range of improvements to policies in areas such as development, public health and security; for the UN to appoint a "Committee of Experts" to study the topic of drug treaty reform; and calls on the Obama administration to harmonize its foreign policy on drugs with its domestic policies by providing leadership at the UN to make that happen. We also organized a sign-on letter to President Obama in advance of the March 2016 Commission on Narcotic Drugs (CND) meeting that preceded UNGASS. It noted positive aspects to the administration's approach to UNGASS, but argued that "in key respects... the... US position for UNGASS [took] a short-term approach, stopping short of the crucial reforms called for by UN agencies and US allies, while failing to address new realities." The letter generated a great deal of excitement in the NGO community, and was signed by over 250 organizations in a short period of time, many of them representing mainstream issues affected by drug policy. David Borden presented at a February 2016 preparatory event for UNGASS, at the UN in New York. In April 2015 we organized a sign-on letter protesting the resumption of executions for drug offenses by the government of Indonesia. The link is to a copy of the letter published as part of an article in Huffington Post, linked from their home page for 24 hours. April's UNGASS was called at the request of the governments of Colombia, Mexico and Guatemala, nations for which the illicit drug trade creates security issues. Their hope was the UNGASS would be a platform for discussing fundamental issues and beginning a new course. Reform met with resistance. Hard-line countries led by Russia and China opposed or diluted most reform-oriented proposals. European governments downplayed the importance of this NYC-based session, wishing to keep the center of gravity in UN drug policy in the smaller Commission on Narcotic Drugs (CND), based in Vienna, Austria. The UN works mainly by consensus, which meant there were limits on what any country or faction could accomplish. The US, while advocating some good stances, opposed treaty reform, despite (or perhaps because of) the treaty issues that marijuana legalization presents. Reportedly the US lobbied other countries to oppose treaty reform as well. As a result, perhaps, many countries' position statements for UNGASS called for "commitment to the three UN drug conventions" or to "the integrity of the conventions" – code language for not changing them. There were some victories. As part of the process, UN agencies submitted their own position papers, many highly progressive, as were the submissions from some countries and international organizations. EU states and others fought hard for language opposing the death penalty for drug offenses, though unsuccessfully. All that discussion is on the record. Civil society engagement brought more groups into drug policy reform, more fully, and NGOs gained more involvement. And while the UNGASS Outcome Document avoids most big issues, it puts strong emphasis on treatment and alternatives to incarceration. It acknowledges the importance of human rights and proportionate sentencing. It has support for naloxone (the overdose antidote), medication-assisted treatment (e.g. methadone and buprenorphine), and safe injecting equipment, though avoiding the term "harm reduction" itself. 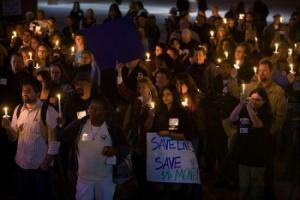 It calls for addressing obstacles to opioid availability. A detailed UNGASS report by the International Drug Policy Consortium is online here. To mark Drug War Chronicle's 1,000th issue, we asked our former associate director and the publication's first editor for a guest editorial. A thousand issues is a long run for a weekly publication, particularly one that’s been published entirely online. I first got involved with DRCNet (as StopTheDrugWar.org was called in those days) as a law student back in 1994. 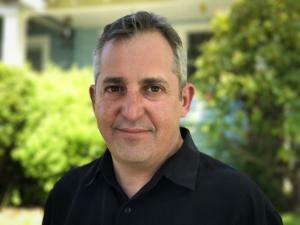 At that time, DRCNet was a single email discussion list that Dave Borden had launched from his bedroom computer in Boston. When I joined, the list was comprised of perhaps 30-40 activists of various stripes (needle exchangers, cannabis activists, prison reformers, etc.) from around the country, with a couple of international participants thrown in. At that moment in history, fewer than 12% of Americans had Internet access, and fewer than 25% believed that cannabis should be legal for adults. Reform seemed a long way off, but we were engaged in the first serious drug policy reform efforts online, and we were convinced (despite the snickerings of more than a few old school organizers) that the Internet was going to enable us change the world. By 1996, I had finished law school and moved down to Washington DC, to become DRCNet’s Associate Director (which sounds impressive, until you know that there were only two of us) where our little discussion list had become an actual, if small, organization, with multiple topic-oriented discussion lists and a growing web presence. Despite its small size and smaller budget, DRCNet was, unequivocally, the center of drug policy reform on the Internet. It was an interesting time, and an interesting place to be. When we launched The Week Online, in the summer of 1997, long before it was re-named Drug War Chronicle, the percentage of Americans with Internet access had climbed all the way to 18%. Our first several issues were mainly a re-cap of our recent action alerts, blurbs about key news stories, a link of the week, and my editorial. Truly, we were making it up as we went along. In those days, the mainstream media covered drug busts and drug hysteria far more than they covered actual policy. Because why cover policy when there was such broad agreement that this was a law enforcement problem? When they did cover policy, it was generally framed as a debate between those who wanted to build more prisons, and those who wanted to build A LOT more prisons. Quotes were spread evenly between law enforcement and grandstanding politicians, with occasional input from hackish “think tanks” such as Joe Califano's Center for Addiction and Substance Abuse, or someone from the Drug Free America Foundation. That was not the conversation we were having online. Into that breach, we quickly expanded both the breadth and the scope of The Week Online. We began covering stories on our own -- often the same stories that the MSM was covering -- but with quotes and perspectives from experts and professionals who had a very different take on both drugs and drug policy. The experts that we were quoting had the advantage of being far more experienced, and far more credible in their fields than anyone being highlighted in the mainstream press. And people started to listen. We were the only online publication in the country covering drug policy from a reform perspective, and it felt important. Over time, The Week Online’s readership grew considerably, and it soon became a must read for anyone -- in government, public health, academia, or advocacy -- involved in these issues. We did interviews, and broke national stories. We highlighted injustice, and framed issues. And we did what we could to show how all of these issues, and all of the various efforts at reform starting to bubble up around the country, were connected as part of a larger movement that was just starting to assert itself in the national dialogue. For the first 138 issues, The Week Online was the centerpiece of my work and my activism. The publication brought me into contact with many of the most knowledgeable, engaging, and courageous voices in drug policy reform, and I could not have asked for a better seat at the table, nor for a richer opportunity to delve deeply into the myriad areas being impacted by our nation’s second disastrous foray into Prohibition. When I left DRCNet in May of 2000, I was exhausted from the grind, but I was thrilled to see my chair filled by Phil Smith. Phil has long since surpassed my time at the helm, and it has been his hard work and unwavering dedication, along with Dave Borden's steady and often quirkily brilliant leadership that has brought the (now) Drug War Chronicle to the almost unbelievable accomplishment of a thousand issues. A lot has changed since July 1997. The Internet is ubiquitous, of course, and drug policy is being covered in thoughtful and intelligent ways across a range of media. Cannabis is legal in eight states and counting, with 64% of Americans, including 51% of Republicans in favor. Ending mass incarceration too, has bipartisan support, and substances like MDMA and psychedelics are seen as promising medical options. And the drug war -- that failed, expensive and destructive experiment in controlling people’s consciousness at the point of a gun -- is crumbling across the hemisphere beneath the weight of its own insanity. And every week Drug War Chronicle, that original online news source for a movement that has gone global, is there. Congratulations to Phil and Dave on reaching issue #1,000. And thanks to everyone who has ever written a piece, or provided insight and perspective, for being part of what is undoubtedly one of the longest-running weekly newsmagazines on the Internet. I truly believe that this publication set a standard that helped move the public debate forward, and I am honored to have been a part of that. May our collective progress towards rational and humane drug policies continue. And may there be no need for issue #2,000. The 2017 International Drug Policy Reform Conference will convene in Atlanta, Georgia on October 11-14. More than 1,500 people who believe the war on drugs has failed will be in attendance to network, to strategize and to lift up policies grounded in science, compassion, health and human rights. Attendees will join a broad range of drug policy stakeholders -- activists, academics, healthcare and public health advocates, veterans, formerly incarcerated people, elected officials, students, and many others from around the country and across the globe! This year, attendees will have the opportunity to spend three days deepening connections with people committed to finding alternatives to the war on drugs while participating in sessions facilitated by leading experts. 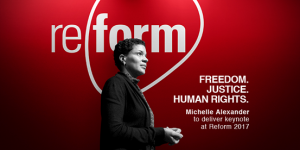 Visit http://www.reformconference.org to register. Get updates on the Reform Conference on Facebook and Twitter, and follow hashtag #NoMoreDrugWar. The reduced rate we announced for Atlanta-area residents is good through this Tuesday, October 3rd. Email asha bandele for information, and if you already have the discount code but haven't registered yet, please do so by Tuesday. A reduced rate is temporarily available for Atlanta-area residents -- email asha bandele for information.